Temecula Preparatory School will be closed from December 22nd through January 6th for Winter Break. Students return back to school on Tuesday, January 8th. 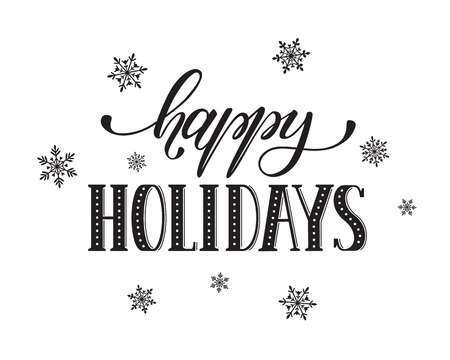 We wish you a very safe and happy holiday season! 12/17–12/20: PATS Holiday Shoppe – This is an opportunity for students to purchase quality gifts for their friends and family at school in a safe, comfortable and friendly environment. Please click here for complete details and hours of operation. 12/18-12/21: Upper School (7th-12th grade) final exams begin. Please click here to view the schedule. K-6 deadline to turn in People Helping People – Care to Share gifts. Thank you for participating in this great cause! “Dine-Out Night” at Chipotle (Ynez Road) to support our high school boys soccer team from 4 to 8 p.m. Please bring a copy or show a copy of theevent flier on your phone at the restaurant. Parent and Teacher Support (PATS) General Meeting in the MPR at 7:35 a.m., followed immediately by the Head of School Parent Coffee. PATS will have hot chocolate, coffee, and holiday treats for those who attend. Scrip will be available to purchase as well. After school cookie and root beer float sale to support our high school boys soccer team. Swing by gate 2 to support our team! K-12 “Holly Jolly” Day – Students may add some holly jolly additions to their school attire today. Please click here for the details. Winter Break: 12/24/17 thru 1/7/19. Students return on Tuesday, January 8th. 12/17: HS girls varsity soccer game at 3:15 p.m. and HS boys varsity soccer game at 5:00 p.m. (against Riverside County Ed Academy). 12/18: HS boys varsity soccer game at 3:15 p.m. (against Rancho Christian HS), HS boys JV basketball game at 3:30 p.m. (against Rancho Christian HS), and HS girls varsity basketball game at 5:00 p.m. (against Rancho Christian HS). 12/21: HS boys JV basketball game at 5:00 p.m. and HS boys varsity basketball game at 6:30 p.m. (against Desert Hot Springs HS). 12/4 : “Dine-Out Night” to support our high school basketball team at Chic Fil-A (Margarita Road) from 2 to 8 p.m. Please click here to view a flier. 12/5: After school bake sale to support our High School ASB. Visit the bake sale table outside gate 2. 12/5: HS girls varsity soccer game (against Linfield Christian) at 4:15 p.m. on Patriot Field, HS girls varsity basketball game (against Laguna Beach HS) at 5 p.m. in the MPR, and HS boys soccer game (against Linfield Christian) at 6 p.m. on Patriot Field. High School Baseball practices will begin on 12/7 and 12/11 on Patriot Field from 3-5 p.m., both days. There will also be a parent meeting on 12/11 at 5:30 p.m. in room 35. Please contact Mr. Litt at jlitt@temeculaprep.com with any questions. The school office will be closed from 11/19 through 11/23 for Thanksgiving Break. Our staff looks forward to helping you when we return on 11/26/18. 11/5-11/8: After school PATS Fall Festival pre-event ticket sales outside gate 2. Tickets are $6 pre-event and $10 at the event. Please click here for additional festival details. 11/5: Parent Assembly at 6 p.m. in the MPR. The topic is safety and the information will be presented by our Campus Supervision/Security Leads. They will be covering basic school safety, emergency procedures, as well as break and lunch rules. K-12 students will be attending an assembly on safety during the school day today. All students must wear assembly attire today. Please click here if you would like a reminder of the assembly attire dress code policy. National Honor Society & National Junior Honor Society Induction Ceremony at 5 p.m.
11/7: After school bake sale to support our Theater Department. Please visit their table outside gate 2. PATS Fall Festival! This is a TPS family event from 5 to 8 p.m. on the Patriot Field, Lower School blacktop area, and the MPR. 10/22–10/26: “Spirit Week” – Our Lower School, 7/8, and Upper School ASB are hosting Spirit Week all this week, including themed dress-up days, which is a fun way to help ASB raise funds for student events and to get everyone ready for the Homecoming football game this Friday. Please click here to view the dress up themes and cost to participate. NOTE: On 10/22 grades K-3 students and on 10/23 grades 4-6 students are required to wear assembly attire. Please see the information below. Today begins the National Junior Honor Society Crayon Drive. Send in your used crayons for a great cause. Click here for more information. 9th thru 11th Grade Parent & Student College Night at 6:30 p.m in the MPR. Parents and students should plan to attend together. Topics will include graduation requirements, post-secondary options, and upcoming opportunities (such as ACT prep, ASVAB assessment and Northern California college trip). 10/26: We are ready for some TPS Patriot football! Please come out to support our team at the Homecoming game. Click on the image below for all the important details. 10/27 (Saturday): High School Homecoming Dance from 6-10 p.m. in the MPR. Tickets can be purchased online. Please click here to view a flier. 10/26: See Homecoming Football Game information above. Come out to cheer on your Patriots!! “Dine-Out Night” at Chipotle on Ynez Road in Temecula from 4 p.m. to 8:00 p.m. to support our high football and cheer team. Click here to print a flier or show the flier on your phone. TPS Board of Directors meeting at 6 p.m. in room 39. PSAT Testing Day – All 8th and 9th grade students will be taking the PSAT 8/9, all 10th grade students will be taking the Pre ACT, and all 11th grade students will be taking the PSAT/NMSQT. These exams will be a valuable opportunity for your student. Experience with college aptitude tests is a great way to begin to prepare for college readiness exams; namely the SAT and ACT. For 11th grade students, PSAT scores may allow students to qualify for the National Merit Scholarship and many TPS students have actually qualified for this scholarship money due to their PSAT scores. “College Day” – To inspire our students who are taking the PSAT, allstudents (K-12) are invited to wear special attire to represent their favorite college. Please click here to view a flier of the acceptable attire. We-Cycle Wednesday & Uniform Exchange from 7-8 a.m. AND a second Uniform Exchange from 11 a.m.-12:15 p.m. in the TPS parking lot/loop area. Click here for additional information. Opening night of the TPS Theater production of “The Heiress” at 7 p.m. at the Norris Performing Arts Center. Performances will also be on 10/12 (7 p.m.) and 10/13 (2 & 7 p.m.) Tickets can be purchased through our online store. Each Thursday after school, our talented Theater Department members will be hosting popcorn sales outside of gate 2. Just $1 for a delicious bag of popcorn! End of the 1st quarter for K-6 and the end of the first progress period for grades 7-12. Please see the notes in the “General Information” section about the upcoming K-6 awards assemblies and K-12 parent teacher conferences. 10/1: MS JV flag football game @ 3:30 p.m. & Varsity @ 4:30 p.m.
10/9: MS & HS cross country league meets – MS @ 4:30 p.m. & HS @ 3:45 p.m. at Linfield Christian. 10/9: HS Girls Volleyball vs Santa Rosa Academy, JV at 3:30 p.m. and Varsity at 5 p.m.
10/11: MS girls volleyball vs TVCS. JV @ 3:30 & Varsity at 4:30 p.m.
10/13 MS baseball (Bronco Division) vs MMS/GMS at 3:15 p.m. at the “North Field” at Ronald Reagan Sports Park. 10/1–10/4: Mrs. Nelson’s “Reading Oasis” Book Fair starts on Monday, October 1and runs through Thursday, October 4th. By purchasing books at the fair, you will help put new titles on our library shelves for all of our students to enjoy. Monday: 8 a.m. to 3:30 p.m.
Tuesday through Thursday: 7 a.m. to 3:30 p.m.
10/2: Join the TPS choirs for “The Elements” – A Concert of World Music at 6 p.m. in the MPR. Tickets are just $7. Please click here for additional details and purchase your tickets through the online store. October 3rd is “CBEDS Day” is an official data collection day for the state. Why is that important to TPS? Some of the data reported to the state is our attendance numbers and that number greatly impacts our school’s funding. Attendance is important everyday, but we appreciate your support in getting students to school today more than ever! “Dine-Out Night” at Chipotle on Ynez Road in Temecula from 5 p.m. to 9:00 p.m. to support our high school girls basketball teams. Click here to print a flier or show the flier on your phone. Deadline to submit your Box Tops for the K-6 Box Tops competition. Please click here to review the information. TPS Theater production of “God of Carnage” at 7 p.m. at the Norris Performing Arts Center. Performances are also on 10/5 and 10/6 at 7 p.m. Tickets can be purchased through our online store! It’s the second round of the High School “Dare to Dodge” House Dodgeball competition from 6-9 p.m. in the MPR. Come out to cheer on your favorite House and enjoy the snack bar. There is no entrance fee! 10/6 (Saturday): Come out to support our high school cheer team and football team at their car wash from 8 a.m. to 12 p.m. in the TPS parking lot. Just $10 a wash! Please click here to view an event flier. 10/2: MS & HS cross country meet (2nd League Meet) – MS @ 4:30 p.m. & HS @ 3:45 p.m. at Moreno Valley College. 10/3: MS baseball (Pony Division) vs BVMS at 5 p.m. at the “South Field” at Ronald Reagan Sports Park. MS baseball (Bronco Division) vs MVMS at 7:15 p.m. & 10/6 vs DMS at 5:45 p.m., both at the “North Field” at Ronald Reagan Sports Park. 10/4: MS girls volleyball vs Rancho Christian. JV @ 3:30 & Varsity at 4:30 p.m.
9/25: Our College & Counseling Department is hosting “Financial Aid Night” for 11th and 12th grade parents and students from 6:30-8 p.m. in room 39. Join them to learn valuable information about the FAFSA and CSS Profile, financial aid deadlines and timelines for receiving aid, scholarships, military benefits, and more! 9/26: K-6 APEX Fun Run Day! Please click here for important details, including information on how to volunteer. Opening night of the TPS Theater production of “God of Carnage” at 7 p.m. at the Norris Performing Arts Center. Performances will also be on 9/29 (2 & 7 p.m.) and October 4-6 (7 p.m.) Tickets can be purchased through ouronline store for just $8! 9/22: MS baseball (Bronco Division) vs RCMS at 5:45 p.m. at the “North Field” at Ronald Reagan Sports Park. 9/25: HS girls varsity volleyball vs Rancho Christian at 4:30 p.m.
9/25: MS & HS cross country meet (1st League Meet) – MS @ 4:30 p.m. & HS @ 3:45 p.m. at the Riverside Cross Country Course. 9/26: MS baseball (Pony Division) vs DMMS at 5 p.m. at the “South Field” at Ronald Reagan Sports Park. 9/27: MS girls volleyball vs Sycamore Academy. JV @ 3:30 & Varsity at 4:30 p.m.
9/28: This just in . . . HS football will now be playing at home @ 7 p.m. against Sherman Indian High School. Parent and Teacher Support (PATS) General Meeting in the MPR at 7:35 a.m., followed immediately by the Head of School Parent Coffee. Join the PATS executive board to vote, hear about volunteer opportunities and event information, and stay to hear school updates and ask questions at the coffee. High school girls basketball parent/player meeting at 5:30 p.m. in room 11. Friday night we don’t have a football game, but we do have the High School “Dare to Dodge” House Dodgeball Tournament taking place from 6-9 p.m. in the MPR. Come out to cheer on your favorite House and enjoy the snack bar. There is no entrance fee! On 9/18 our girls volleyball teams take on Santa Rosa Academy. Games start at 3:30 p.m. On 9/20 the girls varsity team takes on Carnegie at 4:30 p.m.